This is the second time, in quick succession, that Vadra has vented anger over the investigative agencies and the Centre. 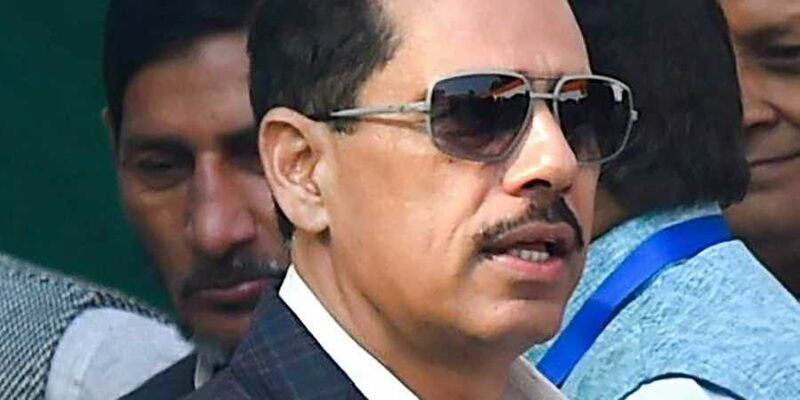 NEW DELHI: Businessman and brother-in-law of Congress president Rahul Gandhi, Robert Vadra on Wednesday alleged that the corruption probe against is a result of a political witch-hunt aimed at "besmirching his dignity and reputation". In a Facebook post, Vadra further claimed that the authorities are well aware that there is no case against him and the proceedings are a mere "media circus to distracting the public." "The authorities know perfectly well that there is no case to proceed against me. This is nothing but a politically motivated, malicious and baseless prosecution. They merely want to create another media circus to distract the public. The truth will prevail someday. It always does," read the post. The 49-year-old business tycoon further stated that all the dossiers required by the investigation agencies have been provided by him, but he was asked for the same again. "I was asked for the very same documents once again even though they had already been furnished over the last few years." This is the second time, in quick succession, that Vadra has vented anger over the investigative agencies and the Centre. On November 30, in another Facebook post, Vadra had stated it is part of Bharatiya Janata Party's Plan B to drag his name into controversies to distract public attention from its governance failures. On the same day, Vadra was summoned by the Enforcement Directorate in connection with the Bikaner land deal case, which pertains to forgery in allotment of land. Issuing a clarification on the social networking site, Vadra said: "A flurry of media queries are suddenly being sent to me based on entirely false allegations probably being leaked by the government as polling day in Rajasthan comes close!! Interestingly, most of the issues arising thereof happen to be sub-judice. Is it a mere coincidence that this also coincides with certain government agencies accelerating their activities and raking up issues that either have no connection to me at all or I have already responded to years ago and cooperated with them fully over the last four years?" Vadra's response came after The Indian Express newspaper carried an article claiming the company that gave loan to Vadra to buy land at a premium got huge relief from Settlement Commission. The newspaper report claimed that the Enforcement Directorate (ED) asked Settlement Commission for details on Bhushan Power & Steel Limited (BPSL) which gave Rs 5.64 crore to Delhi-based Allegeny Finlease Pvt Ltd, which as per its records, used the money to buy land in Bikaner from Sky Light Hospitality which is owned by Vadra. The report said that in 2011-12, BPSL gave a loan of Rs 5.64 crore to Allegeny. The report added that around the same time in December 2011, the Settlement Commission passed an order, admitting BPSL's application against the Income Tax Department which had issued a show-cause notice to BPSL asking the company to make income additions for assessment years 2004-05 to 2011-12 on various accounts aggregating to over Rs 800 crore.